This week the IMF concluded that we were entering a prolonged period of slow growth for the globe. Inflation had failed to materialise in Europe and the United States. China’s economy is “transitioning” from one of infrastructure building to internal consumption, easily said but in practice hugely complicated and fraught with peril. A failing China and a rising US dollar have also put the squeeze on the Emerging Markets, and added to that is the low price of oil that has put many oil dependent economies on their heel. Throw in a refugee crisis and an escalating situation with Russia and there just may not be enough rose tint in the world for your glasses. I am encouraged though by the idea that much of this is temporary. These are the challenges we face right now and they will pass. So I try to keep some perspective about the problems of “now”. Because there are some real challenges that are facing us that we haven’t even begun to address. This man is 104 years young. Which is another way of saying he is very old. Which is why he is sitting in a Tim Hortons. Old people. I’m sure you’ve seen them out on the street, hanging out in Tim Hortons and frustrating you in traffic by driving 5km under the speed limit. But it may surprise you to learn that we are all getting old, and at such a regular pace you could time it by the Earth’s rotation around the sun. And somewhat surprisingly we are about to have a lot of old people, a historically large amount. The baby boomers are obviously not babies anymore. The name was coined to account for the post war boom in children, but the most interesting fact about them may be how few children they had. Wealthy populations with low infant mortality and high education rates simply have less kids. Globally this is a positive trend, as every country has seen a slowing rate of population growth. But in the day to day management of an economy a large number of elderly people can create significant challenges. This is Japan’s current demographic make-up. 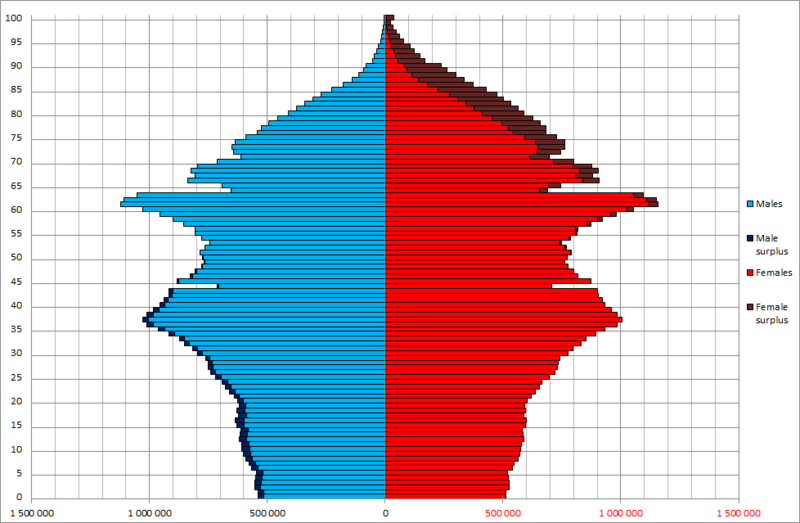 The population is inverted, with the largest segments being the oldest, and the smallest being the youngest, a reversal of a typical population chart. This means that there are fewer workers to pay the taxes to support the benefits of the oldest segments of the population, a problem that will only get worse with each passing year. There are the usual problems, like benefits and entitlements which grow exponentially as a population ages. Those programs that the elderly depend on become highly burdensome when there isn’t a workforce to create enough economic activity to tax. This has been the long understood problem of Japan, whose debt to GDP ration now tops 240% and is thought to be the source of much of Japans economic malaise. But there are also less well understood issues, like how a large aging population affects behavior. As a group, the elderly tend to seek similar things from their investments: less risk, less volatility, and consistency in income. But when put into practice it has the effect of warping the investment world if done on mass. Dividend stocks, a popular source for lower risk equity that pay consistent income, have been driven up in price through demand, making them both more expensive and reducing the relative yield. The same is true for fixed income, as investor demand has compounded the effect of quantitative easing and kept interest rates low and pushed conservative investors into more risky bonds. Liquidity is something most investors value, and this is especially true for retirees. The fear of being locked into an investment as its value plummets keeps many up at night and it is reasonable that people depending on their investments to fund their lifestyle have the option . The attraction of liquidity though also magnifies the volatility we seek to avoid. The ease with which investors can opt out of a market on short notice makes bad market days terrible market days as mass selling can take hold. Lastly, the sheer number of people that are retiring and leaving the workforce depresses economies. In case you’ve missed it, countries everywhere have low, or lowered their interest rates. The purpose of that is to encourage investors to seek out riskier investments for better returns, thus stimulating the economy. But retirees aren’t crazy and have largely resisted this trend. Instead they have held on to lower risk investments even as the returns have dropped, meaning that the richest segment of the economy isn’t putting money to work in a way that undermines government monetary policy. This is from the “Value of Advice” report from 2011. 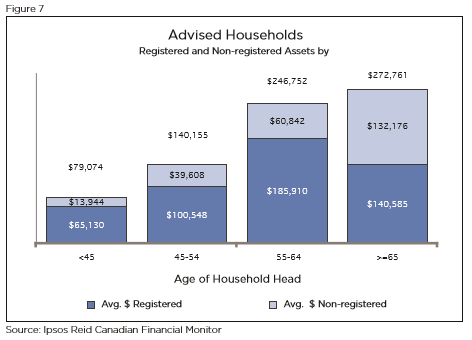 You can read it HERE, but it’s primary purpose was to show the difference in household values when people work with an advisor. This chart on the other hand gives some indication of where most investable assets lie. It should be no surprise that an older population seeking conservative investments means less money pumping into growth sectors of the economy. We are beginning to see a demographic deformation, one that will challenge many of the ways we mange the finances of a nation. Everything from healthcare to education to interest rates will be affected. And this is all uncharted territory. When we talk about challenges we face we tend to focus on near term issues, but big challenges are glacial, slowly altering the world around us and exposing weaknesses in our assumptions and institutions. Dealing with these challenges could require some significant sacrifice, asking much of a wealthy generation to part with their entitlements at the moment they would most like to use them. But even then these are challenges to which we have no good answers yet. 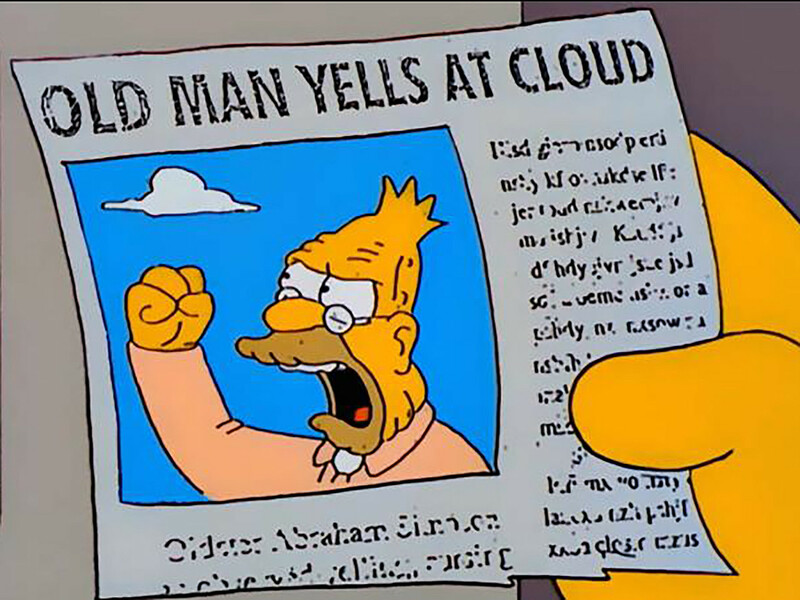 Category: News Tags: Aligned Capital Partners Inc., Canada's Aging Population, Demographic Implosion, Demographics, Elon Musk, Elon Musk says we must have more kids, Japan's Aging Population, Space X, Tesla, The Walker Report, What does it mean when a population get's older?